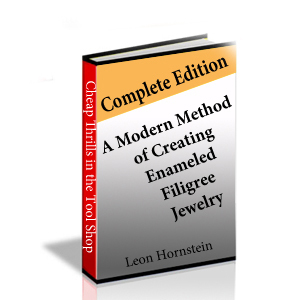 This eBook covers the history of the ancient technique of filigree jewelry making and gives very clear instructions on how filigree is made, and how it can be combined with enamel. Filigree is a group of individual lace-like intertwined wires of gold or silver, soldered together to form a pattern. 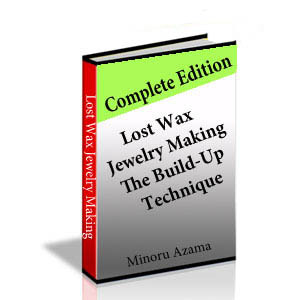 Topics include: tools and materials, making filigree wire and jigs, soldering preparation and technique, pickling, making filigree jewelry, gold plating and more. 110 pages, 67 b&w photos and diagrams, 3 pages of color, soft cover.